India’s Low-cost airlines and rival SpiceJet is taking the best advantage of the crisis at Jet Airways. 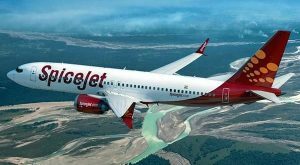 Spicejet is now recruiting pilots, engineers and cabin crews at much lower pay than their current salaries at the financially-troubled Jet. Industry sources told IANS that pilots from Jet Airways are being asked to take salary cuts of 25-30 percent while engineers have been advised to settle at 50 per cent of their current pay package. Some months ago, many airlines including SpiceJet were luring the same pilots and engineers with joining bonuses and better salary hikes. A senior official who is aircraft maintenance engineer who has applied to SpiceJet and Air India Express for a job said that he has got an offer in the range of Rs 150,000 to 200,000 a month while his current cost to company (CTC) at Jet Airways is nearly Rs 400,000 a month. Flying expert noted that many co-pilots who has very less amount of experience normally get about Rs 2.9 lakh salary month at Jet Airways, and they are forcefully to join other airlines for even less than Rs 2 lakh a month. Apart from Jet Airways, among airlines plying domestic routes, only Air India Express and Spice Jet operate Boeing fleets. Those operating Airbus aircraft fear huge conversion costs for both pilots and engineers and are, thus, reluctant to hire the technical personnel from Jet Airways. But aviation experts is predicting that it is temporary phenomena and it will be back to normal once Jet gets a proper restructuring. “This is an unusual situation because Jet Airways remains almost grounded. Normally, supply and demand have been in favour of pilots and engineers. Now, it depends on how quickly Jet restarts again. If that happens things will stabilize. I won’t be surprised if many pilots and engineers go back to Jet,” said Rajan Mehra, a veteran aviation professional and Chief Executive Officer Club One Air. Mounted with huge debt and terrible losses in past, Jet Airways is fighting for its survival. Currently around 90 percent of its fleet are on the ground and discontinued.